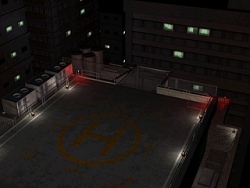 Dark Biohazard is a fan-made modification that is currently in development for the PC version of Resident Evil 2. It signifies a landmark advance in the ability to modify the games engine, and with the recent inclusion of a professional 3d modeller on the project, its shaping up to be one of the last bastions for fans of the game play style that was the series hallmark before Resident Evil 4. We had the opportunity to sit down with Dominion, the mods creator and programmer, as well as C2keo, the 3d modeller and sound engineer on the project. What drove you to get into modding the Resident Evil 2 engine? I started out by studying the Resident Evil 1 engine. 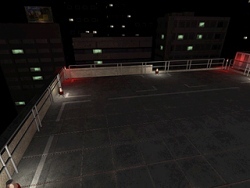 Basic things like manipulating enemies, doors, 3d objects, room data... Since it's such an old engine, there were many limitations and constant crashes. So, naturally, I moved onto Resident Evil 2. C2keo, when did you begin working with 3d models? It was about 5 years ago. I had a brother that graduated from an art college, so he had a lot of software laying around and 3d Studio Max happened to be one of them. So one day I just decided to give it a shot for fun and I guess that's how I got started. As a follow up, did you follow any tutorials or anything? Not really. I just kinda messed around on my own for a bit and then it wasn't until last October that I started taking modeling a bit more seriously. Have you ever modified any other games before? Personally I haven't, but I know Dominion has messed around in the Resident Evil 1 and 3 engines but I don't know too much about what he's done. Hacking games has always been a hobby of mine. I mostly did mods for older capcom and Konami games (Street Fighter 2, Ghost´s n Goblins, Ghouls´n Ghosts, Gradius/Nemesis, Megaman...). Some things that stick out the most for me was creating new move sets for characters in Street Fighter 2 and making enemies in both GnG and Megaman much tougher (enemies could move/shoot faster). We noticed that a lot of the backgrounds you make look really authentic, as if they were from some of the earlier games. What do you do to make them look so authentic? I guess it really all just comes back to the lighting and shadows. 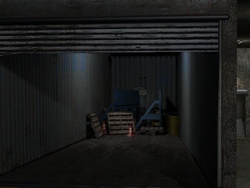 For example, you can just have a square room with terrible looking textures, but if you set up lighting carefully you can have something that looks like it's from a Resident Evil game. Are you limited in, say, the color palette or anything like that with the backgrounds? I have to compress the images down to 320x240 and in 16 bit color, into a bitmap file. It doesn't really take color away, it blurs a little bit of the detail. 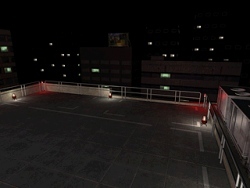 It sort of gives it a charm to make it look more Resident Evil-ish. With the low resolution and all, it doesn't look bad. 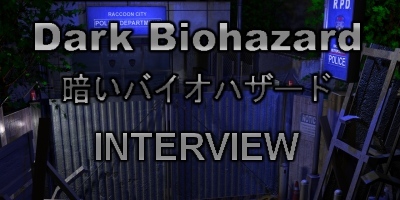 What are your inspirations for the story of Dark Biohazard? I love the concept of the butterfly effect and alternate universes. I felt like the characters that I loved, the Resident Evil universe was dying. Capcom had already killed the S.T.A.R.S. team and changed the course of the series by taking away the games soul and developing bad sequels. I really don't have any major influence for the story. I killed the S.T.A.R.S. because I needed some fatal event to create the worst case scenario I wanted for the mod. How many people are on the staff, and what are their roles? Well, myself and C2keo are the two known people, but we also have UCA from Biohazard France helping me out with the files and everything related to the plot. 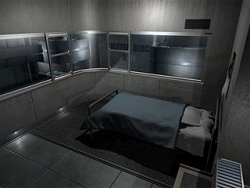 C2keo handles the 3d backgrounds and room designs, as well as the sounds for the game. I work on coding the game myself, figuring out how to modify sections of the game. I also created the trailers and videos you see for the game. Obviously, Dominion has been involved in the project since the very beginning, but C2keo, when were you brought into the project and how did you get involved with it? That would be last October. It was around the time when the Playstation Museum released their Biohazard 1.5 review. 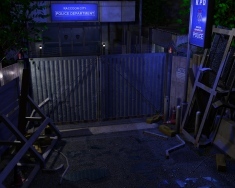 I posted on their forums some render on how I wanted to change the current Resident Evil 2 backgrounds into something more modern and I guess that caught the attention of Dominion. 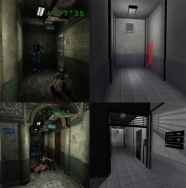 When did you begin work on this version of the mod, specifically "Dark Biohazard"? I can't give a very accurate date for that, but I know it was in 2007, sometime before Summer. Have you ever considered or tried modifying the later Resident Evil games, and if so, why did you stick with Resident Evil 2? As a hard-core Resident Evil fan, my last wish before I die was to play another old school Resident Evil game with bad controls, freaking pre-rendered backgrounds, zombies, B.O.W.S, and Umbrella as the main villain. I think maybe someday I will check Resident Evil 4 and try and turn it in a real Resident Evil game. How about Resident Evil 3? Have you ever looked into switching to that engine? I did look into it, but the main reason I decided to stick with Resident Evil 2 is because of how badly Resident Evil 3 was ported to PC. I never managed to run it in full screen for example. Another issue is that secondary layers on the backgrounds are messed up. Some of the background music as well had issues. It was a really poor port. I only miss the higher resolution backgrounds, real-time events and the exploding barrels that Resident Evil 3 would provide. What is your favorite Resident Evil game and why? Obviously the first one, because it was mysterious and scary. The games following it never reached the same level of danger and horror. I always remember my first visit to the kitchen, or when the hunters invaded the mansion. I guess the first Resident Evil, since it was my introduction into the series. It just has this... I dunno, I just get some nostalgic feeling when I play it. Why did you choose Leon as the main hero of the mod? First of all, my favorite character is Chris, believe it or not. But Leon fits better with the new setting I created for the mod. It´s my chance to "fix" what Capcom did with him in Resident Evil 4 and recreate my own version of Leon. 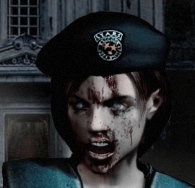 Big_Stu asks, If you could change one thing in the Resident Evil series, what would it be? The plot, especially in Resident Evil 3. That game promised to unveil a lot of secrets about Umbrella and the fall of Raccoon City and nothing happened. It was only Jill's escape from the city. I guess not the story, the story I think is fine the way it is. I guess the backgrounds in Resident Evil 2 maybe. Maybe turn them more into 1.5's style graphics. That'd be interesting. Is that a project you're working on? 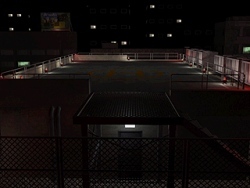 Rewak asks, Will the basic layout of the game be the same (streets, RPD, sewers, etc.) or will that be changed too? 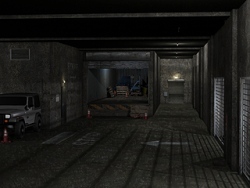 Some locations will be familiar with the players, while others will be completely new. We aren't limited by the basic layout of the original game. Rewak asks, Any estimates for a release date? Some time in the future, haha. But really, I hack games in my spare time, which doesn't come often. I can't give any kind of estimate on its release, sorry. But I will say that things picked up a lot after meeting C2keo. I don't want to waste his talent. Big_Stu wants to know if the game would be available for a Dreamcast release, since its similar to the PC version. I couldn't release it for many reasons. Some features will never work on the Deamcast and I would probably need to release a full working modified version of Resident Evil 2. Big_Stu again, What's been the biggest difficulty you've faced in the development of Dark Biohazard? Everything is hard. 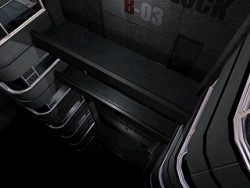 The biggest difficulty is creating brand new rooms and adjusting the camera angles and also the secondary layers. 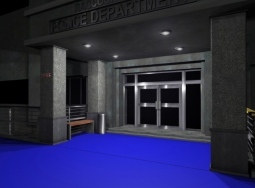 I guess it would be if I'm working on the police station I'll have my mind set on some contemporary styled architecture so it'll be hard to move on to modeling a forest. A final question from Big_Stu, What are your feelings about the current direction of the Resident Evil series? I feel the series is becoming more and more of a casual action game series. After watching the last video of Resident Evil 5, I though It was some sort of horror mod from a Tom Clancy game. I guess it's good for Capcom cause they're making tons of cash, by pleasing the western audience with more action oriented game. With Resident Evil 4, I liked the game play but as a lot of people say, it's a good game, but not a good Resident Evil game. I guess I wish it would go back to the survival horror type game play. Ridley W. Hayes asks, Can you improve the amount of polygons present in the models of enemies and characters? It´s more of a "polish" than improving what I can do with the models. There is a limit with the way the TMD file format compresses. The new suit that Leon is wearing is the only model which has been completed. The zombies and all other models are works in progress. Ridley has another question here, Exactly which version of the game I need to play the mod? The mod should work with every PC version of the game, since it has its own .exe. It just looks for the files in their proper directories. THIA staff member AJ has a question, Should we expect cameo's and surprise appearances from familiar faces? Yes. "Death" has no meaning within the RE universe. Also Dark Biohazard takes place in Raccoon City in the midst of the T-Virus Outbreak after all. If you recall, in one of our trailers we had some familiar people inside a bus. Just to wrap the interview up here, How is the original 1.5 disc doing since we all know you are using the backgrounds as a source to begin your 3d model work? I dunno, it's probably just sitting in my basement under some junk. We'd like to thank C2keo and Dominion for their time, and thanks to the community members who submitted questions to the team. If you want to hear more of C2keo, you can check out episode 2 of the RPD Dispatch Podcast, where we have a voice interview with C2keo. If you want to some of Dominion's earlier work, you can check out an excellent video made by Wesker of Survivhor on Youtube, which chronicles his advancements in modding the Resident Evil 2 engine.